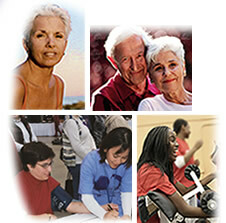 The Women's Heart Foundation is a 501c3 dedicated to prevention, survival and quality of life. WHF accomplishes its mission through education and advocacy. We support prevention projects and promote The Gender Care Initiative® to achieve excellence of care of women. Executive nurses, civic leaders, women survivors and sponsors can respond with one voice to the health crisis of women's heart disease. Funding is through Memorials and Tributes and community-sponsored events. - February 1-7 is Women's Heart Week. Click here for free programs to celebrate the month. - April 1-7 is Medication Safety Week. Follow the 7 focus days! - Go to our Youtube, Facebook and Twitter for the latest news. - Youtube TALK by Dr. Stephen Sinatra - "Should I take a Statin?" Proud member of Healthfinder.gov, certifying sites for information quality and accuracy.